I CAME TO BUY TOOTHPASTE. HOW IS IT POSSIBLE I SPENT $90 BUT - ProudMummy.com the Web's Community for Mums. I CAME TO BUY TOOTHPASTE. 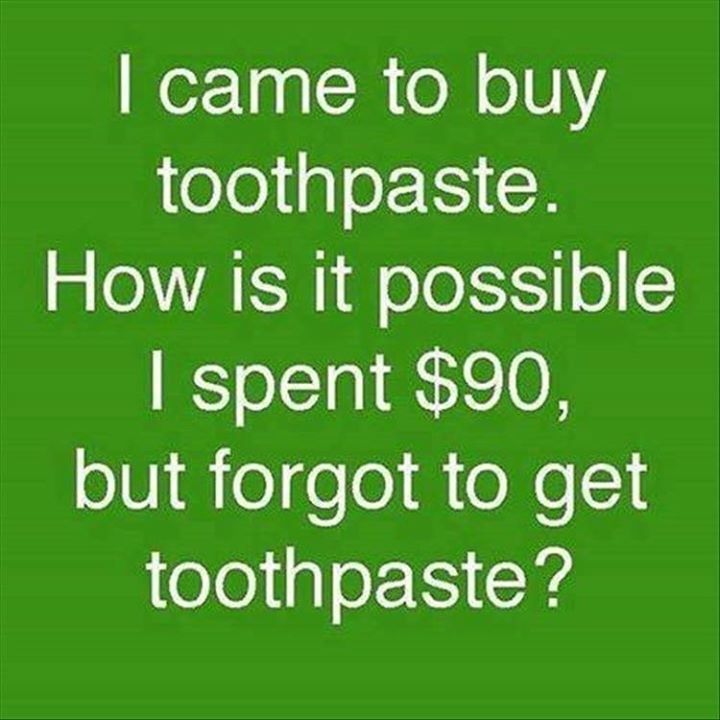 HOW IS IT POSSIBLE I SPENT $90 BUT FORGOT TO GET TOOTHPASTE?